Coffee is one of the most popular drinks in the world, with about 1.4 billion cups being poured every day. October 1st marks the second International Coffee Day, and to celebrate the occasion, we’ve compiled 9 fascinating facts about coffee. So go out and grab a cup o’ joe on October 1st — or shop at the Dunkin Donuts Shop or the Hawaii Coffee Company through DubLi.com for your favorite coffee supplies, where you’ll get Cash Back on every purchase. What? That is anathema to all that we hold dear. Why would you put off drinking our first cup of delicious bean juice? It’s all because of a hormone called cortisol that regulates wakefulness. 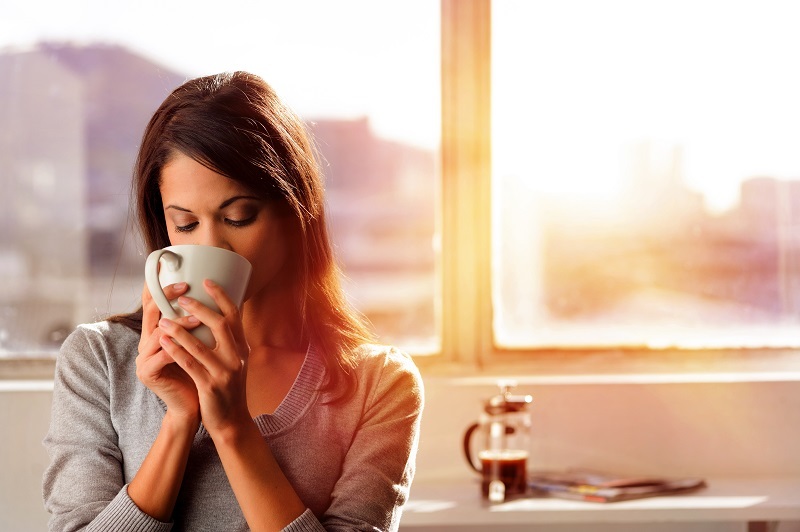 Researchers say that coffee should be consumed between 9:30 and 10:30 am, and then between 1:30 and 5 pm, when cortisol levels dip to their lowest. If you’re having two or three cups right when you wake up, you’re double-dosing your body with caffeine and “natural caffeine” of cortisol. This could lead to an increased tolerance to caffeine, disruptions in sleep patterns, and increased stress. Water and sports drinks are probably the top beverages associated with athletics, but did you know that coffee can provide a benefit to athletes of any skill level? The natural stimulant in caffeine provides a perfect pregame or pre-workout pick-me-up. Having a cup an hour before you exercise improves endurance by using our fat as fuel, an effect that can last several hours. So we’ll have more energy and we lose fat in the process – a win-win proposition! Coffee can give you enough energy to charge through your workout with ease. Coffee was originally discovered in Ethiopia and was primarily consumed by in the Islamic world for several centuries, serving as a centerpiece in religious practices. Alcohol is forbidden in the Muslim world, but coffee was deemed an acceptable alternative. The earliest evidence of drinking coffee dates to the 15th century, in Yemen’s Sufi monasteries. Could you imagine if the entire world roasted and ground coffee fruits rather than “beans”? Well, about 70% of the world’s coffee production involves harvesting the seed of a bright red “cherry” to produce Arabica coffee. The thin layer of juicy flesh housing the seed has a sweet flavor reminiscent of rose hip, hibiscus and cherry. Coffee cherries are the “stone fruit” that produce coffee beans. After years of common thinking that caffeine produces dehydration, it turns out that a cup or two of coffee a day won’t actually increase the risk of dehydration. As long as you drink coffee in moderation, you won’t experience the slight diuretic effect when caffeine is consumed at very high levels. So drink up — that cup of Java will contribute nicely to your daily fluid intake. Studies have shown that regular, moderate coffee consumption can lower people’s risk of developing a range of liver diseases – including cancer, fibrosis and cirrhosis. In fact, cirrhosis is slashed by 44 percent, “is generally well tolerated and has an excellent safety profile.” In this way, coffee is like the anti-alcohol in some ways. In freeze drying, originally developed during World War II as a method of preserving blood plasma for battlefield emergencies without requiring refrigeration, the coffee extract is frozen to about -40°C and cut into granules. The frozen granules are then vacuum dried at low temperature. The extremely low temperature protects the aroma and flavor, along with the gentle drying process. Dark roast beans pack more bold flavor, but light roasts actually contain more caffeine. Arabica coffee — the most common type — needs one of two distinct climates to grow. The subtropical climate of Hawaii and high altitude allows for a flourishing coffee industry. In fact, Kona coffee, grown on the slopes of active volcanoes Hualalai and Mauna Loa, is among the most sought-after and expensive coffees in the world. Mauna Loa is one of two active volcanoes where the only commercially grown coffee beans are grown in the U.S.